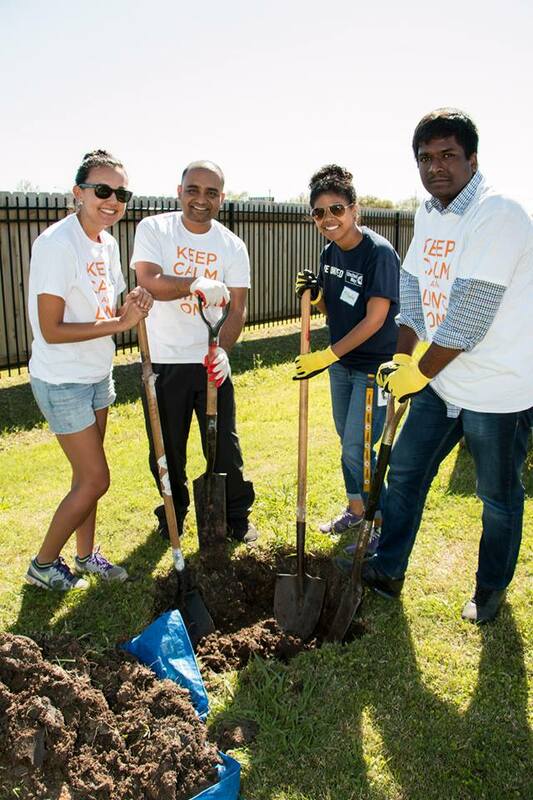 Last month, United Way LINC gathered volunteers to help renovate a park at The Bridge Over Troubled Waters in Houston. The Bridge over Troubled Waters is the 8th largest family crisis centers in Texas and serves approximately 20,000 people through community outreach and prevention/education programs. You can find out more about the organization here. 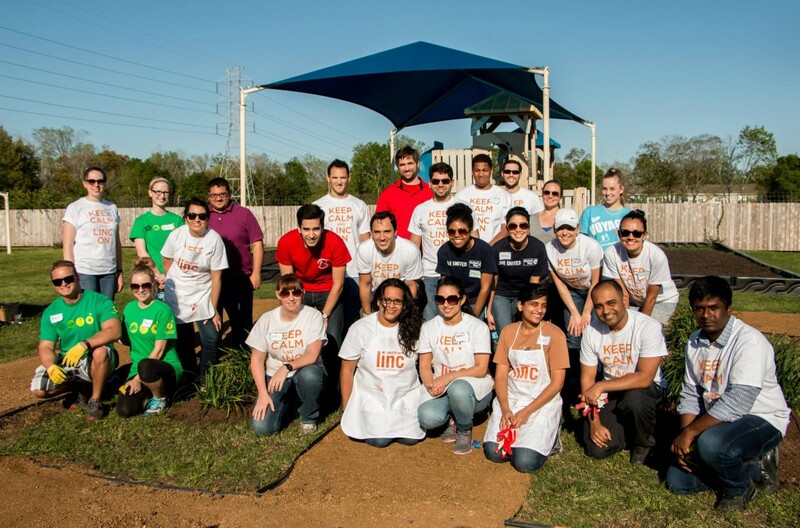 Our Houston Client Engagement Manager, Kelly Knez, participated in refurbishing the park, which included rebuilding tricycle tracks, planting new trees, removing trash, and cleaning up the area. Kelly also had a great time getting to know other volunteering Houston professionals from Good Year, ExxonMobil, and MD Anderson. Kelly (pictured far left) and fellow volunteers prep the soil to plant new trees. Thanks to their efforts, United Way Bright Beginnings children and their families can play and have fun at the revitalized park. United Way LINC volunteers take a group snap on the newly renovated tricycle track. Check out United Way LINC’s full photo album here!